T, B & T and little she: Reading - lots of books in our house! Everyday Taryn and Hadleigh find their ways upstairs in their room and grab their books down from the bookshelves and read (or look at the pages in each book!) 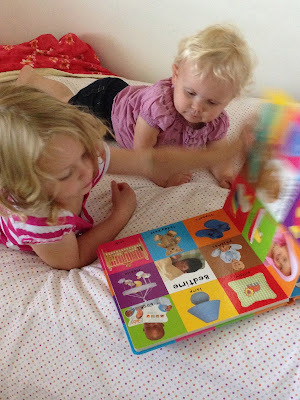 Taryn likes to grab some of her favorite books and recite them to Hadleigh and every once and awhile, Hadleigh grabs a book and gives it to Taryn to read to her. This was a scene I found one day while I was downstairs and the girls were extra quiet upstairs. 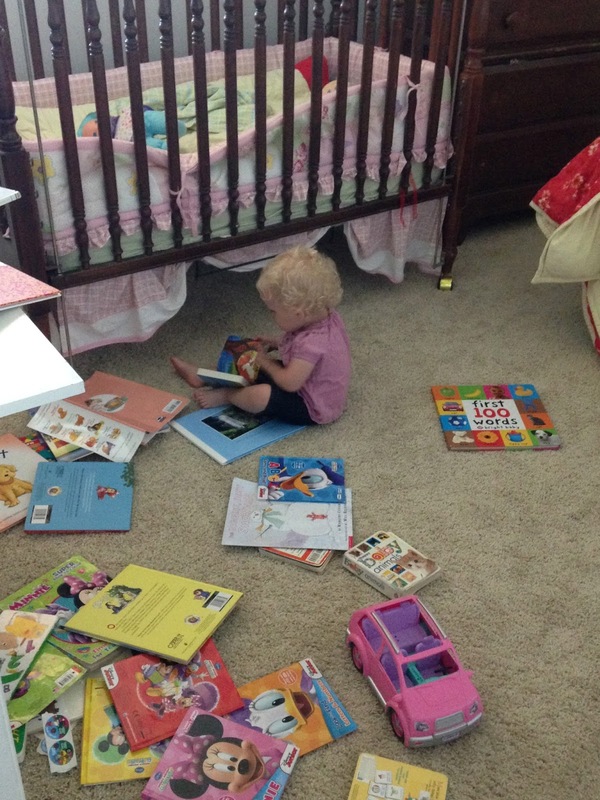 I love that I know now that most of the time when I hear a clunk, it's not a bad bonk on the head or some limb that got hurt, it's usually just a big pile of books hits the ground after these little girls take them off the shelf. 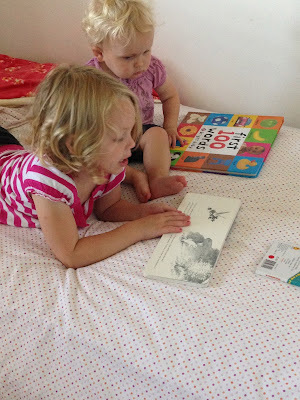 I love that they love to read together and that going to the library each week is a fun family activity for us all. Our library receipt is 20 books long this week. We have to print it out so we remember which ones are due back because I'm sad to admit that we've racked up some overdue fines in the past and we also like to keep a fresh rotation of books on hand. T & H go through our take home bag so fast!